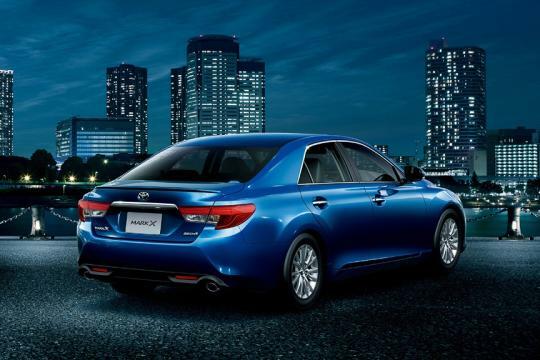 Toyota has updated the JDM Mark X sedan for the 2013 model year. One of the more popular parallel-imported Toyota model in Singapore, this is the second time the Mark X receives a facelift in its life cycle. For those who feel that the facelift back in 2009 could be better, the good news is that the 2013 model has a nicer looking front fascia with a new grille that sports a more pronounced "X" logo in the centre. Sporting an aggressive design, the headlights incorporate Bi-Xenon bulbs and daytime running LED lights. The tail lights and bumper have been redesigned as well. 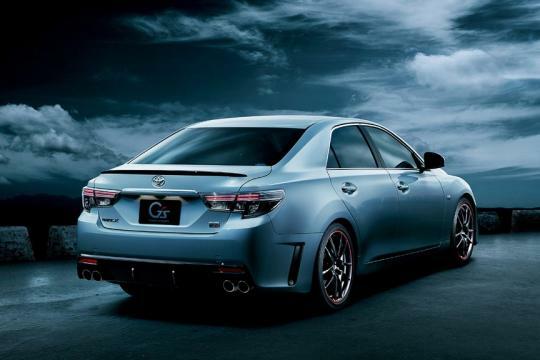 Gazoo Racing, to come up with the G�s variant. 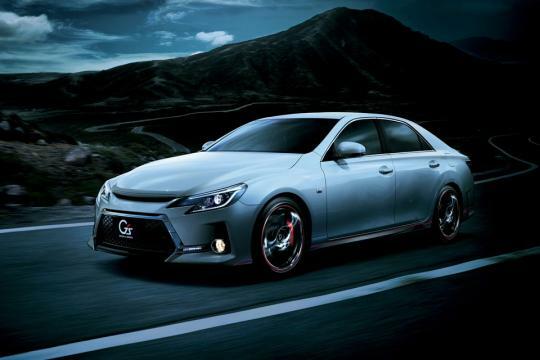 It comes with a body kit that comprise of a new grille, boot lid spoiler, bumper with side air vents, a diffuser housing four tail pipes and a set of 19-inch alloy wheels. 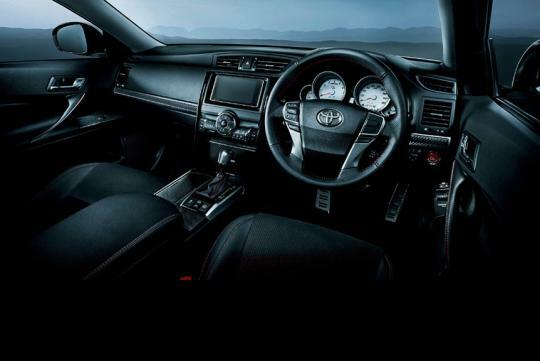 On the inside, red stitching can be found on the leather seats, steering and gear stick. The white instrument panel gauges adds a sporty touch. Two engines are available. The 2.5-liter V6 produces 200 bhp and 243 Nm of torque, while the 3.5-liter V6 develops 314 bhp and 380 Nm of torque. 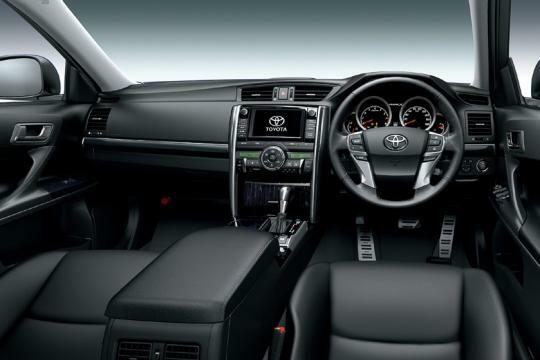 Both engines are mated to a six-speed automatic transmission which sends power to the rear wheels. All-wheel-drive is optional. 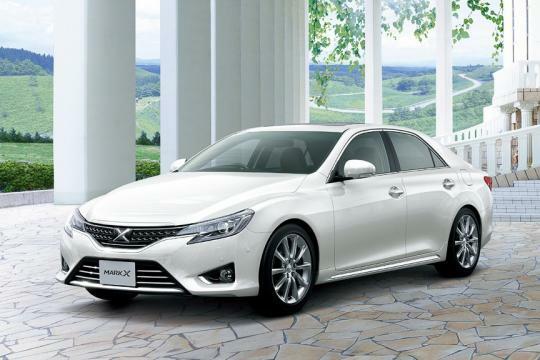 Measuring 4,750mm long, 1,795mm wide and 1,435mm tall, the Mark X shares its platform with the Toyota Crown and the third generation Lexus GS sedan. 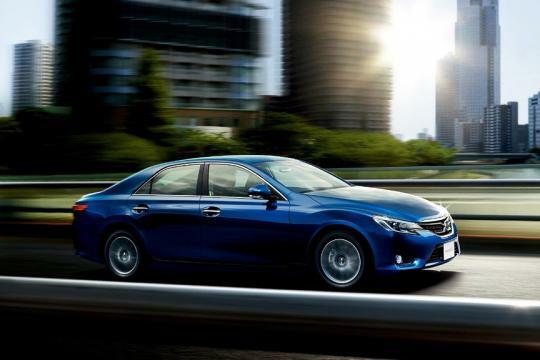 Toyota claims that the 2013 Mark X�s chassis been tuned for better handling with a quieter ride due to usage of additional damping materials. Ok. It's officially a Kia now. when will this come to singapore?